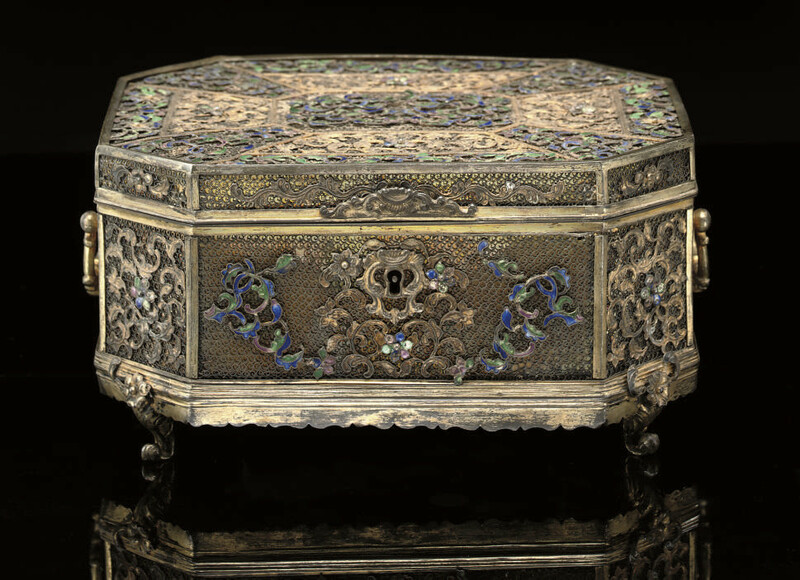 of rectangular form with canted corners and twin loose handles, decorated with panels in silver and enamel with scrolling flowers and foliage on a fine filigree ground, raised on four scrolling supports -- 7 5/16in. (18.5cm.) wide.